Diaspora Dialogues is delighted to partner with Orpheus Choir of Toronto on a ground-breaking celebration of Canadian artistry and International Women’s Day, featuring an array of choral works by female composers, and the premiere of four commissioned Canadian works by Christine Donkin, Anika-France Forget, Katerina Gimon, and Tawnie Olson, based on poems by DD writers. 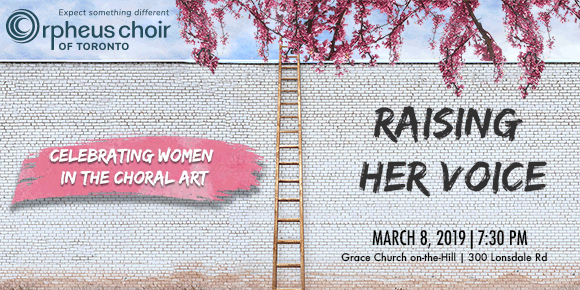 Join us for a unique mentoring of acclaimed female composers and poets with emerging female artists to highlight the very best of established and undiscovered Canadian talent. This evening honours the woman’s expressive and singular perspective in song! View Christian Sharpe’s author profile.